UNITED NATIONS (AP) — New information has been received that could shed light on the mysterious 1961 plane crash that killed U.N. Secretary-General Dag Hammarskjold on a peace mission to then newly independent Congo, the U.N. legal chief said Monday.Miguel de Serpa Soares told the General Assembly that a preliminary review of the information — from intelligence, security and defense archives and other sources — showed it could add to knowledge about “the context and surrounding events of 1961.”He said it could also add to knowledge about “the presence of foreign paramilitary and intelligence personnel in and around the Congo, and the capacity of armed forces present in and around the region at that time.”Serpa Soares was briefing the General Assembly on the interim report by former Tanzanian chief justice Mohamed Chande Othman, who has been reviewing new information on the crash of Hammarskjold’s chartered DC-6. 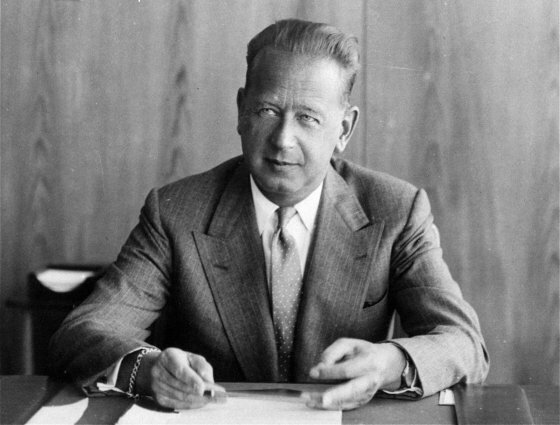 AP—AP A 1959 file photo of Dag Hammarskjold, Secretary General of the United Nations. “We owe it to the families of those who perished 57 years ago and to this organization itself” to review all records and archives, including those that remain classified, Schoulgin said.